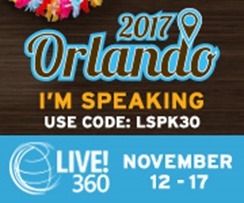 Join me at VSLive in Orlando! This November, I will be back at Live! 360 in Orlando. The conference runs from November 12th through November 17th at the Royal Pacific Resort. I spoke there last year and I’m super excited that they invited me back. Teams go through an entire project without knowing if their applications work or compile anywhere other than a developer’s machine. It’s often thought that creating a Continuous build and release process is really difficult to do. By creating a robust Release Pipeline, you can reduce your team’s cycle time and increase your ability to have a healthy codebase. We will use Team Services to create a continuous integration build and release process that will help you go from coding in Visual Studio 2017 to running your code in Azure in just a few simple actions. Your release pipeline with compile your code, run unit tests, create multiple Azure environments, run functional tests and load tests, and ensure that you have working and deployable software throughout your entire project. Application Insights helps you monitor your live applications by giving you the tools to detect and diagnose performance issues, and getting insights into how your application is used. Once you deploy your application to Azure, it will be important to determine usage patterns, performance changes, response time metrics, and other key information to help you keep your application running efficiently. 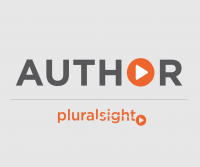 This session will introduce you to Application Insights, how to get started using it in your new and existing applications, and how to harness its power by adding instrumentation with your own metrics. Visual Studio Live! Panel: Native or Web – Does it Matter? After a week of intense learning, what’s next for you and your current projects? Part Q&A with speakers and conference chairs and part peer exchange, you can use this time to network with your fellow Visual Studio Live! attendees and select speakers to discuss the best ways to move your projects to the next level. ← Orlando Codecamp is this week! Is there any way to remove old folders from azure? When I delete a folder from my local and deploy project, it is not removing from Azure. post on my Facebook and my friends loved it. Keep up the awesome work. Import Digital Certificate In eToken User certificate No Key Corresponding to This certificate Was Found.